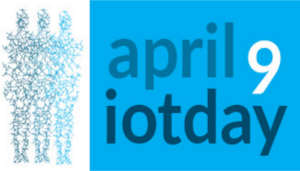 ​Iotday is an open invitation to the Internet of Things Community to participate in an event, host a hackathon, or just share a beer/coffee with a friend or fellow collaborator focused around the IoT and its implications. It is clear that we are in the network. The agency lies with organized networks that consist of different parts of what used to be large industry, startups and activists. Not only can individuals belong to all or some of these groups, the innovation and agency lies with those who are able to act and plan with qualities taking from all three: the swiftness, dedication and passion of the hackers, makers, and activists, the planning and management and scaling capabilities of big industry and the longing to make your product and service real beyond your immediate family in the startup and SME’s.